Pair of bronze valve guides and seals for high lift cams to fit the Yamaha SR500, SR400, XT500, & TT500. 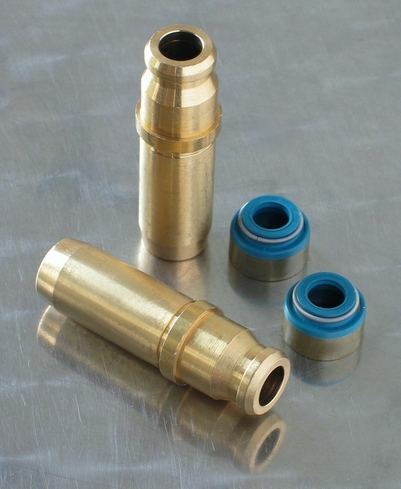 R/D bronze valve guides and seals, shorter than original, for use with high lift camshafts. Quoted price is for a pair of guides and seals.